This week, Megan Tompkins-Stange and her research were featured in a variety of programs: Michigan Radio's Stateside program, Prospect magazine, and the Tiny Spark podcast. In each, Tompkins-Stange discusses her new book, Policy Patrons: Philanthropy, Education Reform, and the Politics of Influence, in which she investigates four major U.S. foundations that invest in education, their relationship to public policy, and the effects of this relationship on local communities. On September 14, for the independent, non-profit news program Tiny Spark, Tompkins-Stage speaks with Amy Costello in the podcast "Power, patronage and problems: When private wealth transforms public schools." On September 16, for Michigan Radio's Stateside, Tompkins-Stange describes the different approaches foundations take toward community intervention and argues for the “field-oriented approach,” where local stakeholders are given more control in the decision-making process. Tompkins-Stange also warns against the temptation of long-term control by foundations of education services in a particular community: “It affords them more control than I think is democratically wise," she says. On September 21, for Prospect magazine, Tompkins-Stange engages in a Q&A session with Rachel M. Cohen. Tompkins-Stange elaborates on several issues she tackles in the book, such as Common Core curricular requirements, widespread secrecy in private foundations, and the need for more legal accountability for institutions that wield such power in the public sphere. 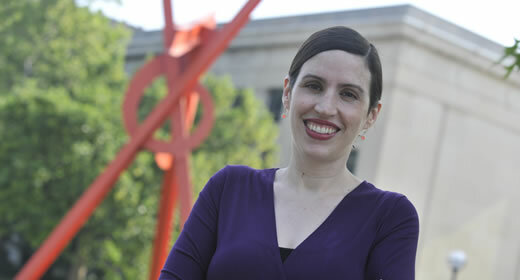 Megan Tompkins-Stange is assistant professor of public policy at the Ford School and co-director of the school's Nonprofit and Public Management Center. Equips future leaders with interdisciplinary insight that can help them operate more effectively when working for or collaborating with nonprofit and public institutions.